1. 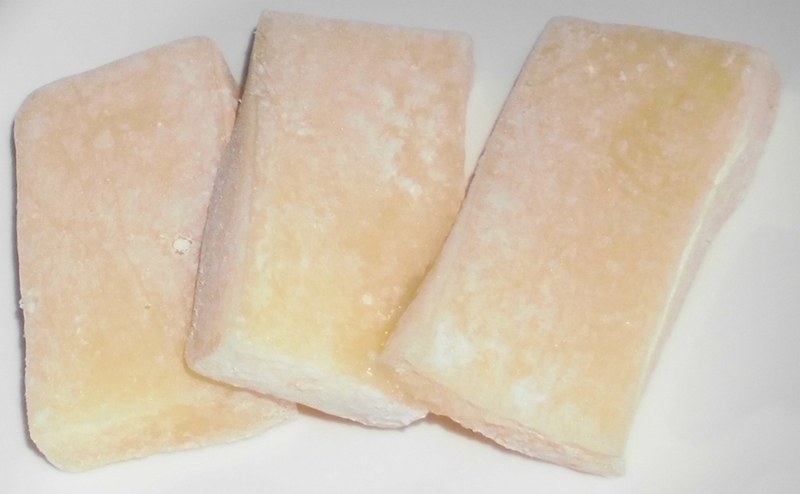 Butter Mochi: Butter mochi is one of the best local beach snacks in Hawaii. It’s essentially a baked custard. It’s a Hawaiian-style dessert made with sweet glutinous rice flour baked with coconut milk or cow’s milk, eggs, butter, and coconut. Butter mochi is bit like mochi as you might know it from the freezer case at a Japanese grocery store, though it’s got a real homey American vibe to it. It’s great for a trip to the beach because it will satisfy your sweet-tooth after a day in the salty ocean! 2. Poke: Poke is a local fish salad that comes in a myriad of variations. The local-style poke you should grab for a day at the beach will likely come in a clear plastic deli container from just about any grocery store in Hawaii. Most places will have at least a few variation of fresh ahi poke alone, with seaweed, Maui onions, avocado, tobiko, spicy mayo, or avocado. You should keep your poke in a cooler, since it contains fish. But, it’s so delicious, you may even eat it during the car ride to the beach. Butter mochi is sweet and soft AND perfect for a day at the beach! 3. Manapua: One website I found called manapua “a delicious thing filled with pork.” And that’s pretty much what this is. It’s a near-relative to the char siu bao, which is a Cantonese barbeque pork-filled bun. The best manapua are eaten while still fluffed high from the steamer, the light roll bearing a sheen on the outside, a kind of skin that holds the bun tight. And, of course, these are best eaten warm. So, don’t put them in the cooler — let them bake in the sun alongside you. 4. 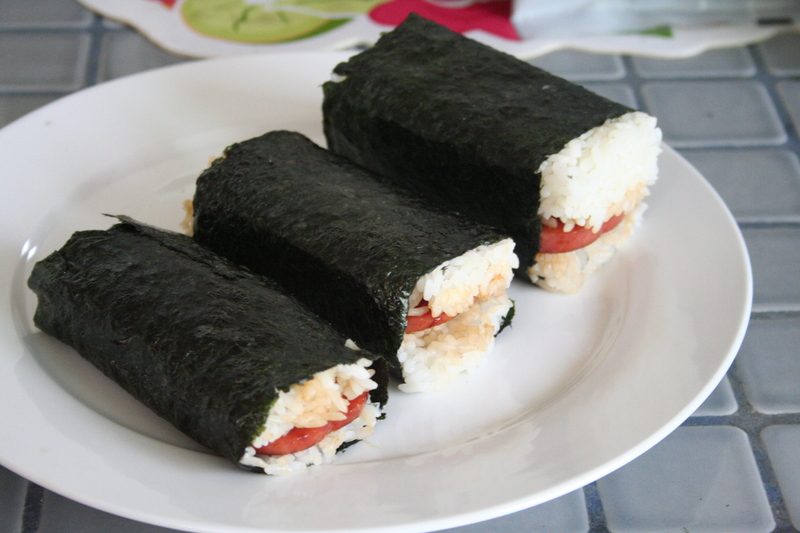 Spam Musubi: Spam musubi is the ultimate portable snack. According to seriouseats.com, “it’s based on musubi (A.K.A. onigiri), the Japanese snack of rice balls wrapped in seaweed and stuffed with powerfully flavored ingredients. But instead of pickled plums or salted fish roe, inside you’ll find a slab of grilled Spam, glazed with a little soy sauce and sugar.” You can find Spam Musubi just about anywhere, even the 7-11 stores all over the islands. Spam musubi can be found just about anywhere, even at convenience stores in Hawaii. That makes the item a great snack to bring along when you'll be out playing all day. 5. Malasadas: Malasadas are basically sugary, no-hole doughnuts. According to seriouseats.com, the traditional malasada is a simple yeasted, deep-fried dough rolled in sugar, either round or occasionally square, but never with a hole in the center. Rich with eggs and butter, the best malasadas manage to be both light and chewy at the same time, served warm, with a fluffy, springy interior and a crisp outside. This is a great treat for the car ride home, when you’re exhausted from the beach and ready for a sweet snack! Keep in mind, these beach snacks in Hawaii aren’t only appropriate for the beach. If you have an ocean activity planned, such as surfing and stand-up paddle boarding lessons on Maui, SCUBA diving on Oahu, or Big Island Whale Watching, you can also bring these snacks along for the ride. Gotta go — feeling hungry after writing this post!